John Reed, Bendigo Advertiser, 16 May 1914. BENDIGO. - DEATH OF EUREKA VETERAN Mr John Reed, who was one of the men who drove the first soldiers to Ballarat, and who fought in the Eureka Stockade, died on Friday at the age of 96 years. MR. JOHN REED. - A VETERAN CITIZEN. How many pioneers of 1852 survive? There must be very few. One of them is Mr. John Reed. He arrived in Melbourne from London in November, 1852, and was at once engaged to assist in the store on the third White Hill, Bendigo, that had been opened by H. and J. Cook, of Flinders-lane, Melbourne. After 22 months' service he started storekeeping on his own account in partnership with Mr. James Brown. But they soon gave up storekeeping for carrying on the roads between Melbourne and Bendigo and other goldfields. In 1854 they undertook to drive the first detachment of soldiers to Ballarat in eleven four-horse American waggons and four express waggons of two horses each. The journey only took 32 hours, and arriving at Ballarat the soldiers attacked the Eureka Stockade. Later Mr. Reed conducted timber yards in Hargreaves street, which were subsequently leased by the late Mr. J. R. Hoskins. Born in America, the home of the trotting horse, Mr. Reed has always had a great love for a good trotter, and when in business the quality of his horses was a matter of public comment and appreciation. A sporting man writes:— "Mr. Reed, although 90, is just as enthusiastic over a good trotting horse now as he was when in America well over 60 years ago, where he had the pleasure of seeing and sitting behind some of the fastest. He says when he reads now of the wonderful records put up by Uhlan and Dan Patch (1.55) his thoughts travel back to his American days, when 2.20 would have been something to write about. He still drives out every day, and there is nothing he enjoys better than a brush on the road, especially if he is giving the other fellow the dust, but he reckons it's not much use, anyhow, now, for just as you've settled the other chap and throwing bouquets at yourself, along comes a motor car, throwing dust and paraffin at you, and is gone before you can call the driver nasty names. DEATH OF MR. JOHN REED. PIONEER CITIZEN PASSES. The death of Mr. John Reed removes one of the eldest of the now small band of pioneers of early Bendigo. The deceased, who was 96 years of age last May, died last evening at 7 o'clock at his residence, 35 Pyke-street. He was a familiar figure in the city. He was born at Reed's Point New Brunswick, which is now one of the provinces of the Canadian Dominion. In June, 1852, he sailed from his native land for Australia, and arrived in Port Phillip in November of the same year. On arrival in Melbourne he was engaged by H. and J. Cook, of Flinders-lane, to assist in their store at the third White Hill, Bendigo, at a salary of £6 per week and board and lodging. 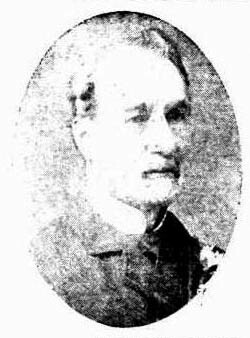 Mr. Reed walked from Melbourne to Bendigo, and filled his new position for a period of two months, after which he started business on his own ac-count, in partnership with Mr. James Brown. Subsequently the firm relinquished business as storekeepers, and procuring waggons and horses, began driving on the road between Melbourne and Bendigo and other goldfields. In 1854 they were employed to drive the first detachment of soldiers to Ballarat, who upon their arrival fought in the Eureka Stockade. There were eleven four-horse American waggons and four express waggons in the cavalcade, the officers being in the latter. The deceased often related how the officers urged on the express waggons at a furious rate, and long before the journey was completed the horses drawing the officers' waggons were unfit to continue. Mr. Reed made a demand for extra remuneration for the placing of additional men on the four-horse waggons, and Captain Wise refused and placed them under martial law. Mr. Reed did not find the road business congenial, and sold his interest and entered into partnership with Mr. G. F. Walker, in a timber yards in Hargreaves-street, at the site of Messrs. Hall and Batchelder's stores. Since retiring from the business of the timber yards, he has lived a retired life. There were five children. His wife died many years ago. One son, Arthur Reed, was struck by lightning in the railway re-serve, on the Quarry Hill side of Mitchell-street, and was killed. Another son, Mr. Cooney Reed, was well known in the city. One daughter died in South Africa. Two sons survive, viz., Mr. Herbert Reed, printer, of Quarry Hill, who resided with his father, and Mr. William Reed. ↑ Ballarat Courier, 12 October 1918. ↑ Bendigo Advertiser, 16 May 1914. ↑ Bendigo Advertiser, 12 October 1918. This page was last edited on 29 March 2017, at 00:02.